After attending one of Dr. Joel Fuhrman’s health immersions, Debbie learned how to take control of her health and cure her food addictions. Woman’s World shares Debbie’s transformation and Dr. Fuhrman’s The End of Dieting food plan she followed to achieve her goals. Emily, a successful nutritarian and a contributor to Dr. Joel Fuhrman’s blog, interviewed other successful nutritarians and gleaned invaluable nuggets of truth and tips for losing weight and keeping it off the nutritarian way. See the twelve vital tips. 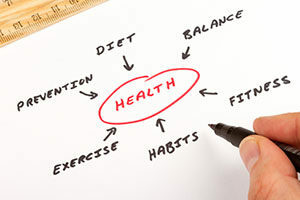 How Does Your Healthstyle Reflect Your Habits and Your Personality? Foodist author Darya Pino Rose uses the term “healthstyle” to refer to the actions, dietary or otherwise, that impact your health and body weight. If your healthstyle is a reflection of your cumulative habits, from the food you eat, to how often you exercise, to where you live and the company you keep, then what is yours saying about you? Are you looking for a healthy, delicious, and filling recipe that packs a green vegetable punch and helps fight fat storage? Dr. Fuhrman has one! 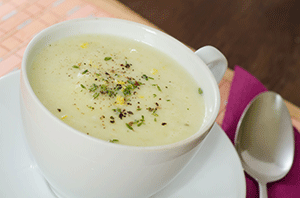 He shared his recipe for Creamy Cabbage Soup from The End of Dieting with Dr. Oz. Get the full recipe to try at home! 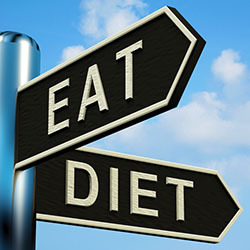 You’re not failing your diet, your diet is failing you. 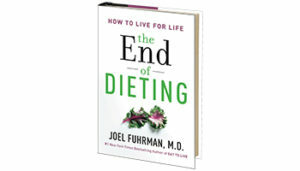 Joel Fuhrman, M.D., author of The End of Dieting, discusses why fad diets don’t work and what you should really be doing to achieve permanent weight loss and lifelong health on The Dr. Oz Show. When we eat primarily foods high in calories, without incorporating sufficient amounts of protective nutrients into our diets, our cells become congested with waste products such as free radicals and advanced glycation end products (AGEs), collectively known as oxidative stress. More often than not, oxidative stress it is accompanied by a buildup of toxic metabolites that can create physical symptoms of withdrawal between meals. 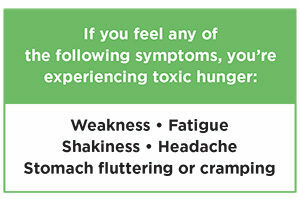 Dr. Fuhrman calls these withdrawal symptoms toxic hunger. 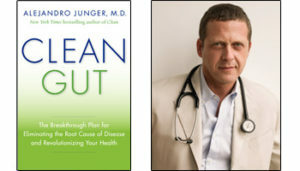 Take this quiz from Dr. Fuhrman’s new book, The End of Dieting, to see if you’re food addiction is causing toxic hunger.